Located on one of the largest rivers in the Westerlands stands the castle of Riverrun. It is the former seat of House Tully and the capital of the Riverlands - a wide expanse of land covered in broad and fertile river basins. The castle sits at the point where the Red Fork of the Trident River is joined by its major tributary, the Tumblestone River flowing out of the west. 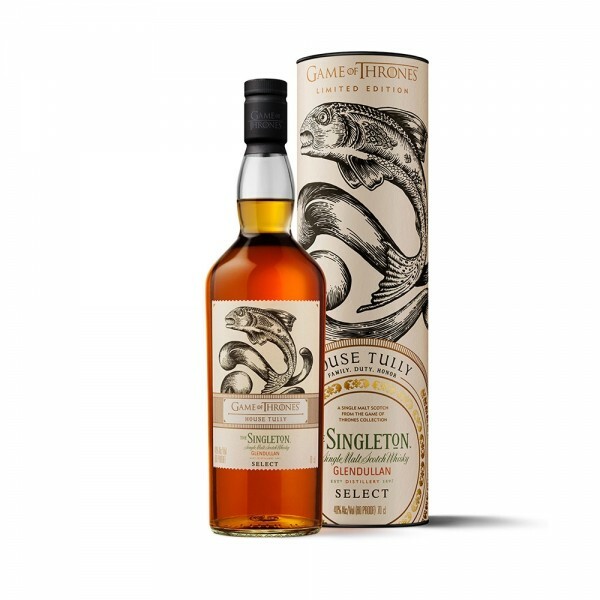 It's this power of water which flows through House Tully which makes The Singleton Glendullan Select such a perfect fit for the house. Made on the banks of the River Fiddich in the wooded hills of Dufftown, The Singleton Glenfullan Select harnesses the water flowing through the land by utilizing a water wheel to power the entire distillery! The light straw shimmer of this liquid hints at the cask lineage of this Single Malt that is 100% ex-Bourbon casks. On the palate the malt is initially driven by orchard fruits like apple, as well as spices like clove and cinnamon. The finish moves away from citrus into a red berry compote with vanilla cheescake and a pronounced cereal spice finish.